Relaxed fine dining restaurant in a beautiful grade 2 listed building. The restaurant has a cosy setting with original oak beams, brick fireplace and stone floors. Paul's food is modern British and focused on the seasons. We offer a small regularly changing al a carte menu and also much lunch and dinner tasting menus. A Tasting menu lunch Kickstarter reward for my wife and me. Lovely, intelligent cooking. Flavour given top priority. Great to see the subsequent glowing Jay Rayner review with a similar reaction to ours from someone who really knows. Fantastic food with exceptional wine flight. For our fourth visit to Salt we attended a tasting night featuring the excellent food at Salt matched with beers from Purity. We’ve done more than our fair share of wine flights but this was our first meal with matching beers. It was an excellent evening that exceeded our expectations. The menu was a welcome drink, Paul’s famous malt bread, five courses with matching beers, then tea / coffee and mini buns to finish. As with every meal we’ve had at Salt, it’s difficult to pick a favourite dish but the Pea and Broad Bean Salad with Lawless Lager was the winning combination. Lawless was the perfect choice for a dish with such fresh flavours. Slow cooked beef cheek with Pure Ubu was a close second. Chef Paul and Purity introduced the food and beer combination for each course. Refreshingly the Purity talk wasn't a sales pitch to buy their beer. Salt’s relaxed environment helped make this evening a success, it just wouldn’t have worked as well in some of the more formal settings we dine in. Salt’s front of house team of Charlie and Tom worked tirelessly all night to keep everyone fed and watered. The kitchen team of Matthew and Laura also deserve a mention for their hard work all evening. Paul and the team continue to deliver a great dining experience with outstanding food and great service in a relaxed environment. We had a lovely evening with friends who had not been to Salt before. They too were very happy and enjoyed every mouthful. When we came before we had the Taster menu which we loved. We had the a la carte this time and the only disappointment was that the service staff did not describe the meal they delivered therefore lots of interesting details might have been overlooked. For me a careful description hugely enhances the experience and helps one pay attention to the craft of the meal rather than just eat and chat. I guess I feel your food is worthy of this attention to detail. one other very minor negative was that the petit four at the end of the meal was too big and too sweet and was more like a mini pudding. This did not finish the meal perfectly for any of us. 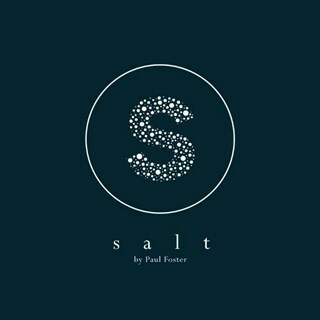 We will be back and tell all our friends that Salt is the restaurant of the moment. Well done to you all. 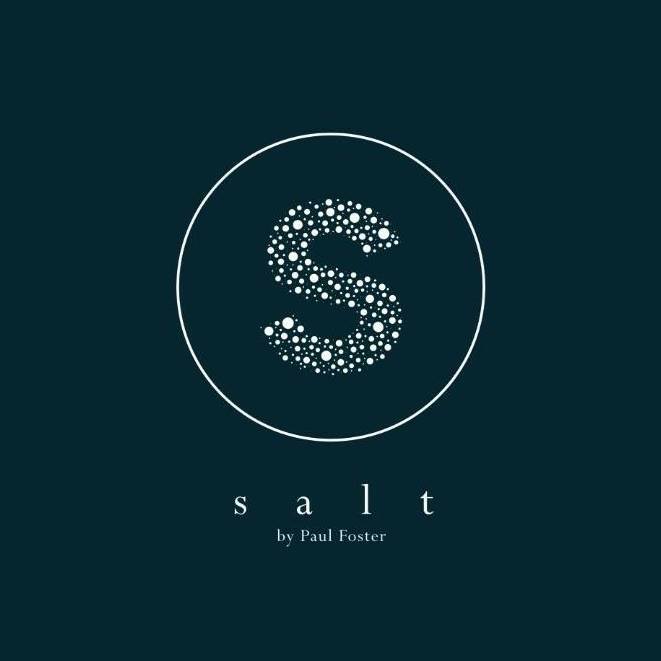 Salt was an incredibly relaxed high end dining experience. The tasting menu was superb with the lime granita dish hitting a personal high. We can't wait to be back to taste more of Paul's food. A unique proposition in Stratford. We took the lunchtime tasting menu and we all very much enjoyed it. By way of comparison we recently took the tasting menu at Restaurant 23 in Leamington and our collective view on the way home was that was better. That said, it was more expensive too. In terms of value for money this was a special occasion and so I pushed the boat out. £400 for lunch isn't something I'd regularly pay and I could really challenge whether any lunch is worth that much. So my 3 stars rating for value for money is not a reflection on Salt. The waiter and waitress were very attentive and nice so they get a big thumbs up. SALT & all the team are AWESOME!!!! Excellent food and service. I will definitely be returning in the near future. We had a wonderful evening, great food and superb service. We are counting down to our next visit in July, can't wait to find out what's on the menu. I personally thought the quantities were very sparing, especially the vegetables, and the cheese course. Great experience with the tasting menu. Wines were well paired and service was great. More info on wines would have been nice but the service was excellent. Highly recommend to anyone looking for an exceptional experience. Stunning. The lunch tasting menu was beautiful - the lamb was the best lamb I've ever eaten. The staff were lovely and friendly and certainly very knowledgable. I couldn't fault a thing. Well worth every penny - will definitely be back. This was our first visit to Salt, having read about it in Olive magazine. We were definitely not disappointed. It was more than we would normally spend on an evening out, but it was my husband's birthday, so we wanted to do something special. The 7 course tasting menu was absolutely delicious and the staff were friendly, knowledgeable and attentive. For the quality of food you get, Salt is well worth the money you spend. I'm delighted that it is on our doorstep and look forward to returning for future special occasions. Thank you! We had a fantastic night at Salt. Service was excellent, we had a really lovely guy serving us (sorry I can't remember his name!) who made us feel very welcome and comfortable. The food was also excellent, very fresh, tasty and innovative. In my opinion, exactly what Stratford is lacking in terms of restaurants! We all agreed that we will return soon and will definitely be recommending to friends and family. A fantastic evening! My partner and I have had the chance to dine in some phenomenal places around the country, and this meal was one of the most well thought out and inventive menus we've tried in a long time. Top marks to all the team, the service was fantastic and we felt very welcomed by everyone. Very attentive staff and fabulous food in a relaxed and stylish setting, thank you for a very special evening. Incredible evening. Food was excellent, some of the best dishes we've eaten. Great relaxed atmosphere matched with incredibly friendly staff made the whole experience first class. Can't recommend highly enough, we are already planning our next visit. My Father's Day lunch was superb throughout. The flavours were delicious, the ingredients fresh and of top quality, and the attention to detail was impressive. The staff looked after us very well and gave us excellent service in a low-key and relaxed manner. I'm delighted that you're here in Stratford, and I'll be back soon.